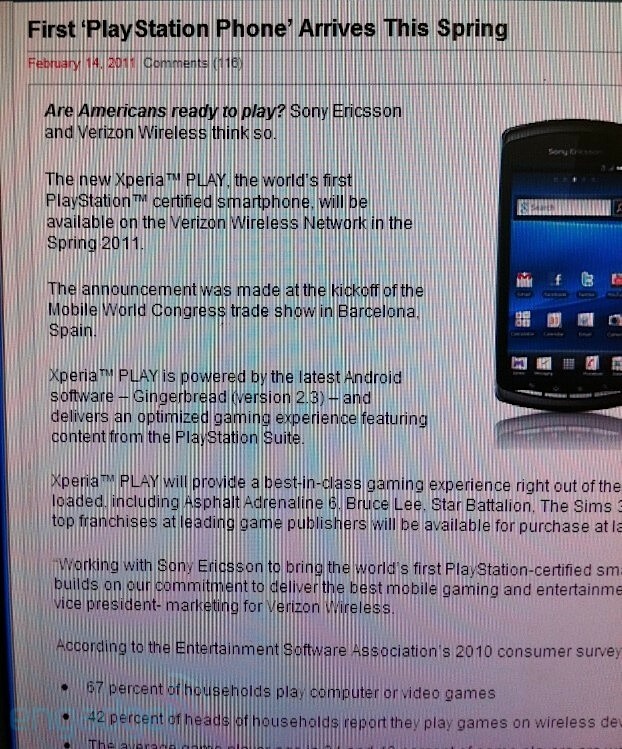 The Sony Ericsson Xperia Play also described as the PlayStation Phone, has suddenly show up in the Verizon’s inventory’s system. It appears that the phone will be available on Verizon Wireless on Spring 2011, but it doesn’t says nothing about the price yet. As we can see the phone will be available on Verizon’s network, but no details on other carriers such as Sprint, AT&T or T-mobile.